Excellent Services catering is about creating the right environment and not just a question of feeding people. We do this by providing a balanced, healthy and tasty diet, served in a comfortable and inviting atmosphere. Excellent Services offers catering services to corporate and business, as well as nutritious school meals to education and school facilities. 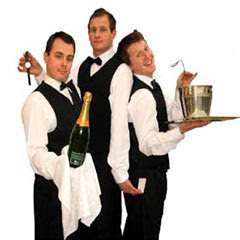 Excellent Services has established a reputation for great food, service and client satisfaction in both the private and public sectors, from healthcare to schools, company restaurants, camp messes and executive dining. Excellent Services has an impressive client portfolio with tailored catering solutions designed specially to meet the ever changing requirements from our customer. Our solutions are as diverse as our customers, but they are all based on the same values and know-how, which are matched in collaboration with the customer to accommodate the specific needs within every solution - not only in terms of food, but also in terms of environment, employees and services. Excellent Services operates across the country in a range of industries including manufacturing, commerce, government, and hotels. We understand food and offer a variety of services to keep your staff happy and healthy.